•	Every single order placed on the Shiseido website will ship with free surprise samples and gifts. •	All orders of at least $25 placed on the Shiseido website ship completely free of charge, with express and international shipping offers available as well. •	Everyday Online Offers is a section of the site that showcases the biggest deals and discounts available on the site. These special offers are refreshed every 24 hours. •	Customers have the chance to buy Bundle Kits and packages that help them save even more money on merchandise than they would have been able to if they bought the products separately. Expect to save at least 15% on these orders. 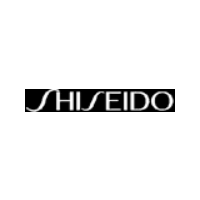 Shiseido is a cosmetics company that carries an extensive collection of beauty items for men and women. Their home page includes all of their most popular products which include skincare, suncare, makeup, fragrances, and more. If you’re looking for a present for a friend or a family member you can take a look at the “Gifts” tab. You can also find an array of beauty tips through their home page that tell you how to get rid of different skincare concerns. By signing up for an account you will be able to get free samples with your orders and track your package. For most up to date offers check out Shiseido on Facebook and Twitter or contact Shiseido Support for any questions.